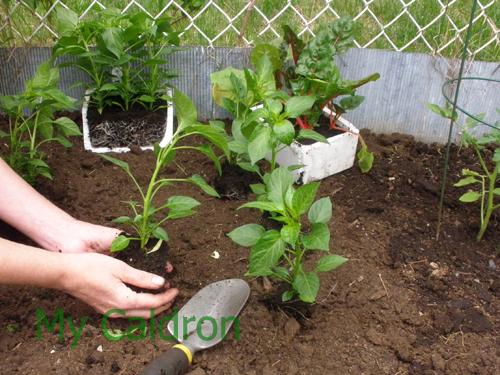 Like thousands of other Canadians, and probably thousand more gardeners who reside in Zone 5, I started my flower and vegetable gardens around the end of May, Victoria Day long weekend. That’s when we are fairly certain that the frost will not hit the gardens. I have two long and narrow vegetable and flower beds in my back yard, lying under a pleasant mixture of sun and shade (6 hours sunlight, daily). I have already shared several posts on my flower bed and my experience with perennials throughout the gardening season. Here, and here are two examples. So, I would like to allocate this post to planting and caring for, and hopefully harvesting a few types of vegetables that I just planted in my garden. I do invite you all to join me in with your comments and tips and questions. Let’s have a happy green forum right here! I have tried growing tomatoes, zucchinis and cucumbers in containers without much success. But different types of pepper, jalapeño, sweet pepper and hot pepper, do fantastic in container – even better than in the ground! 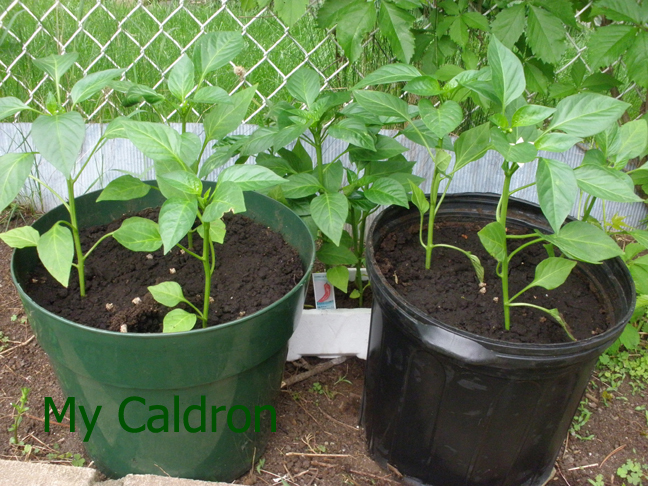 I have read peppers need to have a relatively warm soil to thrive and apparently a container provides that environment better than does a vegetable bed in the ground.